The aim of the conference was to enhance synergies of the worldwide parliamentarians who are in support of a binding treaty and to highlight the urgent need for this international legally binding instrument to regulate transnational corporation´s activities with regard to human rights violations. 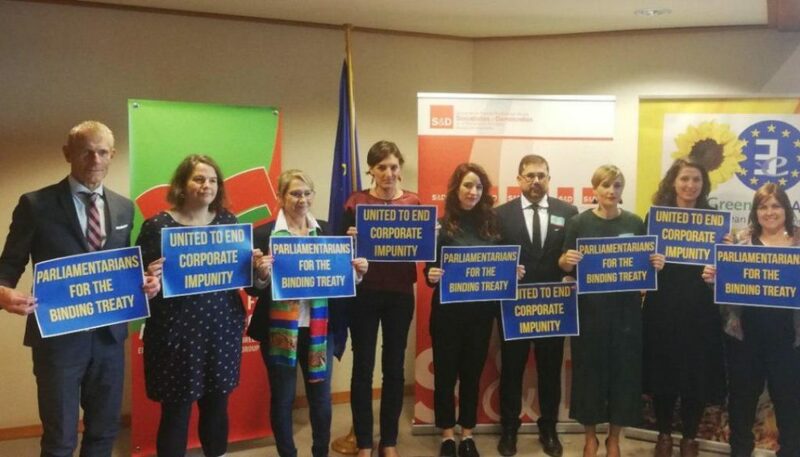 Spanish MEP Lola Sanchez opened the session and highlighted “the legitimate and crucial role of parliaments and civil society actors in the binding treaty process, as stated by the UN Human Rights Council”. 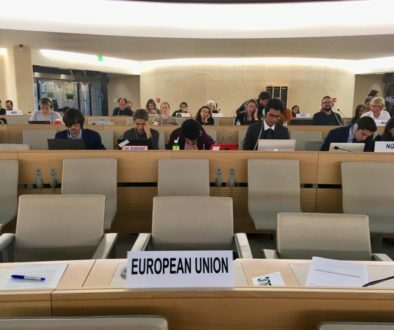 The conference marked a stepping stone, right before the fourth session of the UN Human Rights Council’s (UNHRC) working group in charge of developing the future treaty, which will take place next week in Geneva. “We must finally define the obligations of investors, rather than always negotiating on the protection of their profits. The recent ruling of the arbitration court in The Hague in favour of Chevron/Texaco – against the thousands of people suffering in the Ecuadorian rainforests from oil spills – shows how urgently we need a concrete, transparent and binding instrument to guarantee the rights of human beings over those of corporations. Otherwise, we will never achieve the United Nations Sustainable Development Goals”, stressed German MEP Helmut Scholz, GUE/NGL Coordinator on the International Trade Committee. 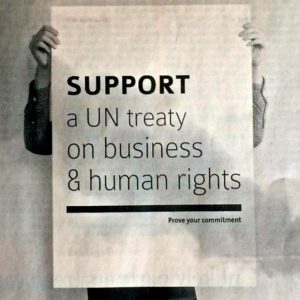 Since last year, interest in the process with a view to elaborating a binding treaty has increased. The GIN has expanded its influence and various parliaments have passed supportive resolutions. 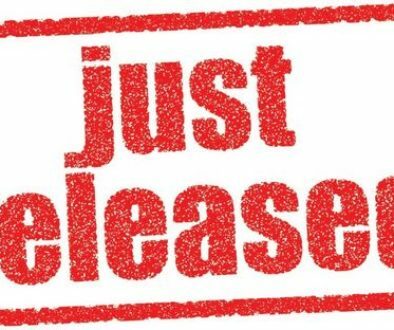 The European Parliament also adopted a resolution on October 4, promoted by GUE/NGL, which actively backs the binding treaty process and calls on the EU and its member states to engage proactively in next week’s meetings in Geneva for a prompt achievement of the treaty. Many other parliamentarians, not only from four different European parliamentary political groups but also from different national parliaments, showed their support, including Lilan Galan from the National Assembly of Uruguay; Ana Belen Terron, Podemos´ Spanish Vice-President of the Committee on Development Cooperation at the Spanish Congress; and Heike Hänsel, Deputy Head of DIE LINKE at the Bundestag. All parliamentarians who took part in the conference launched a joint manifesto supporting the Binding Treaty process. 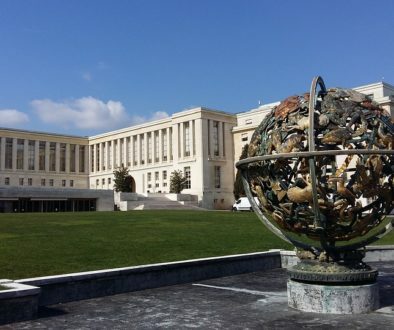 In order to enlarge synergies also with civil society organisations MEP Helmut Sholz and MEP Lola Sanchez will participate this Sunday on a meeting in Geneva with worldwide NGOs. They will also participate in the important official meetings taking part next week in Geneva.